Making life accessible, one building at a time. 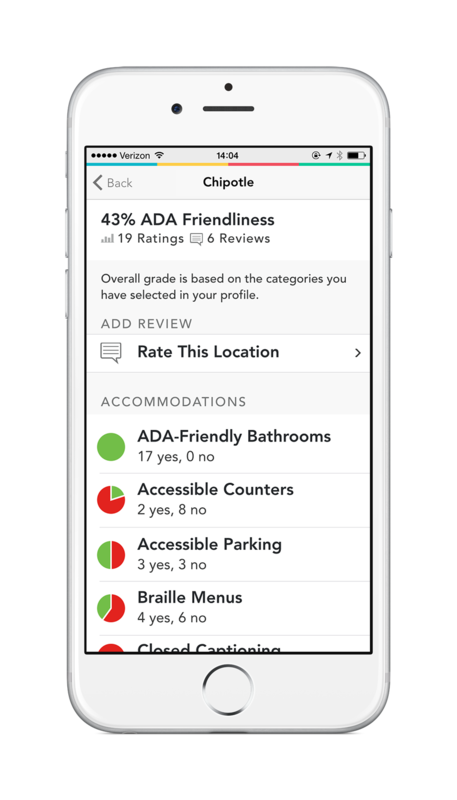 Compeer is a free iOS app that let's you rate & review the accessibility-friendliness of a location. Whether you have a specific place in mind or just want to browse nearby coffee shops, Compeer will show you how others rated it. Submit ratings based on your personal experience. Wide aisles? Braille menus? Distraction-reduced environment? Awesome! Let other people know. We value your privacy. The only personal information visible is the username you choose. We realize disabilities aren't one-size-fits-all. Choose which categories you care about (cognitive, hearing, motor or vision) and Compeer will filter out unrelated reviews. If you prefer larger text, Compeer makes its font bigger. In fact, it completely readjusts its app layout depending on the size you choose. 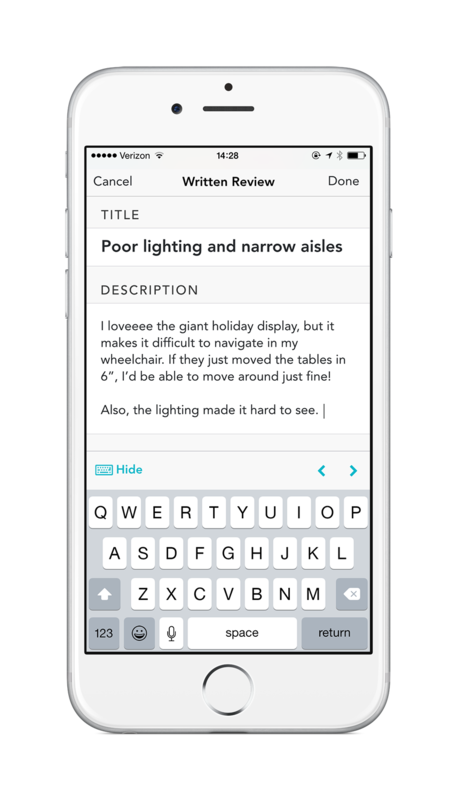 Descriptive hints show new users how to use the app without holding back power users. Rely on Darken Colors or Reduced Transparency? Compeer adapts the app colors to help make it legible. Compeer will detect if reduce motion is turned on and limit the use of animation in the app. Thankfully, Apple has fantastic accessibility support that we are always trying to leverage. Rely on something that Compeer doesn't support? Let us know. Interested in being a beta tester? Send us an email and we'll follow up! Want to follow Compeer, but don't want to be a tester? Sign up for our newsletter! We publish once a month and will never spam you.